RIVER FOREST IL - Music & Potlucks, a community organization will present “A Tribute to Pete Seeger” on Friday, May 10 at 8:00 pm. The event takes place at Martin Recital Hall in the Dominican University Performing Arts Center, 7900 W. Division Street. 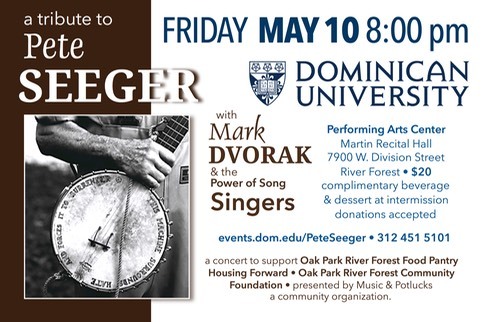 “Thousands upon thousands of people over the years have taken up the banjo, the guitar and began opening their ears to the world of music because of Pete,” said Chicago folk artist Mark Dvorak who will lead the audience through a program of Seeger’s most enduring songs. He will be joined on stage by bassist Manuel Adduci and a community singing ensemble, the Power of Song Singers. The event is being presented in Seeger’s centennial year to support the Oak Park River Forest Food Pantry, The Oak Park River Forest Community Foundation and Housing Forward. 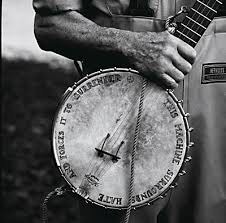 After a long life filled with music and activism, Seeger passed away in January 2014 at age 94. After WWII, Seeger along with Fred Hellerman, Ronnie Gilbert and Lee Hays enjoyed a number of chart hits as The Weavers, introducing the work of seminal folk artists like Woody Guthrie and Lead Belly, and reintroducing American listeners to their own roots music traditions. Seeger left The Weavers in the mid-1950s after being called to testify before the House on UnAmerican Activities. He was consequently banned from radio and television. At the same time he and his wife Toshi were raising a family in a log cabin they had built near Beacon, New York on the banks of the Hudson River. Seeger scrambled to earn an income. He embarked on a long string of performances at community centers, colleges and grade schools, crystallizing the powerful essence of American folk music. By 1969, The Sloop Clearwater was launched, a 106-foot long replica sailing vessel common on the Hudson in the19th century. The Clearwater served to draw attention to the problem of pollution of the Hudson River, which included mercury contamination, PCBs and raw sewage. Dvorak has performed in thirty-eight states and in parts of Europe and Canada. He has won awards for journalism and children’s music. 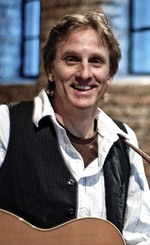 In 2008 he received the Woodstock Folk Festival Lifetime Achievement Award and the Lantern Bearer Award from Folk Alliance International in 2013. 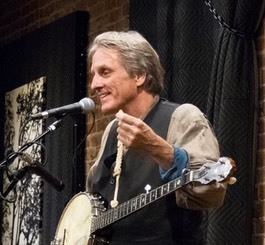 In 2012, WFMT 98.7 fm Midnight Special host Rich Warren named him Chicago’s “official troubadour." General admission tickets are $20. Complimentary beverage and dessert will be served at intermission. Donations will gratefully be accepted. Order tickets online at events.dom.edu/PeteSeeger. For information on the event phone 312 451 5101. Learn more about Music & Potlucks at www.musicandpotlucks.org.